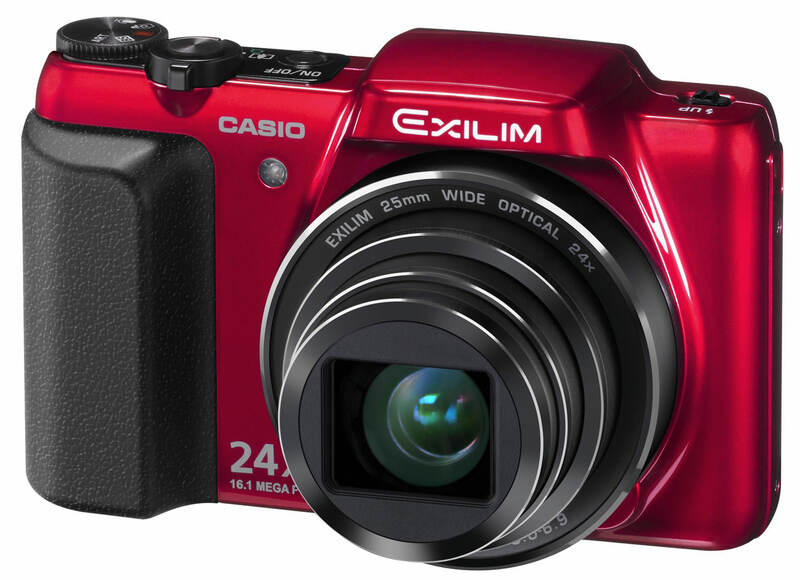 A new Exilim digital camera with a 24x optical zoom lens and a large number of exciting features that make it easy to take great pictures. The EX-H50 can hold in its compact and stylish design, a 3.0 inch widescreen display and CCD shift image stabilisation. You can take great landscape photos, group photos in confined spaces and distant objects that are difficult to capture in high resolution up to 16.1 million effective pixels. Premium Auto function takes beautiful shots with a single press of the shutter button. Art Shot function offers eight different photo effects - toy camera, soft focus, light tone, pop art, sepia, monochrome, miniature effect and fisheye. These features make it possible to easily create stunning and impressive artistic images. The new camera also has silent mode for situations where you want to avoid disturbing their surroundings. This mode disables the flash, self-timer and AF-assist lamp, ideal for environments where noise can be distracting, such as in museums, churches and restaurants. HD Movie function creates colorful and high-detail videos with a resolution of 1280x720 pixels. Mode dial allows the user to quickly select the shooting mode that is most suited to the current setting. The camera also has several other practical and useful features like USB charging and compatibility with Eye-Fi, which allows wireless connection to computers and smart phones. The EX-H50 will be available in October 2012 and comes in three different colors: black, white and red.